Change several hidden preferences in the Safari 4 Public Beta. Is there a better alternative to Safari 4 Buddy? Is Safari 4 Buddy really the best app in Internet Utilities category? Will Safari 4 Buddy work good on macOS 10.13.4? 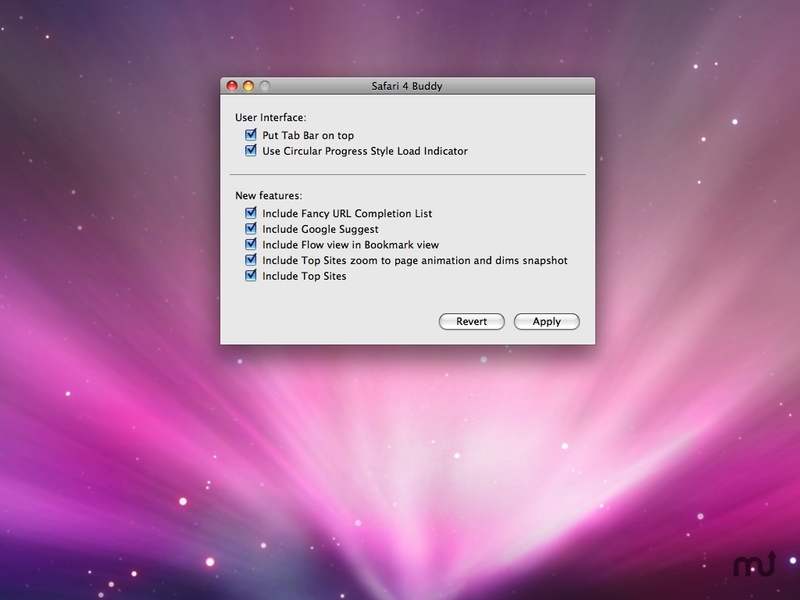 Safari 4 Buddy is a Mac OS X Utility that enables the ability to change several hidden preferences in the Safari 4 Public Beta Web browser, such as: moving the Tab Bar, reverting the Progress Style indicator, disabling Google Suggest and Top Sites and more. Added the Sparkle framework to enable self-update functionality. Implemented localization (currently English only). Updated the user interface for small displays. Thank you to everyone for the generous feedback. This release is for you. Safari 4 Buddy needs a rating. Be the first to rate this app and get the discussion started!